Suddenly, Petunias seem all grown up! 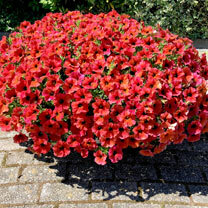 What a fabulous new direction for a much loved bedding plant. Our new "Super Petunias" (Petchoa 'Beautical') are an intergeneric hybrid between petunias and calibrachoas and combine the best features of both, with a superb compact-medium mounded habit and large flowers, which makes them the ideal choice for pots and patio containers. The flowers are textured and strong, not floppy like the usual Petunia. The large, weather-resistant plants recover from rain much faster than standard petunias. The exceptional colours will be an absolute WOW on patios, terraces or balconies! The blooms are also non-sticky, so that casual evening deadhead won't leave you with sticky hands. The branching of the plants is also neater than average. Mildew also won't get a look in, plants are tough and tolerant, staying green and healthy all summer long. Super Petunias will give an extended show too, with blooms from June to September! Height 20-30cm (8-12"); spread 40-50cm (16-20"). Bordeaux - striking red colour (can turn purple under sudden temperature drops). Fabulous weather-resistant displays all summer! 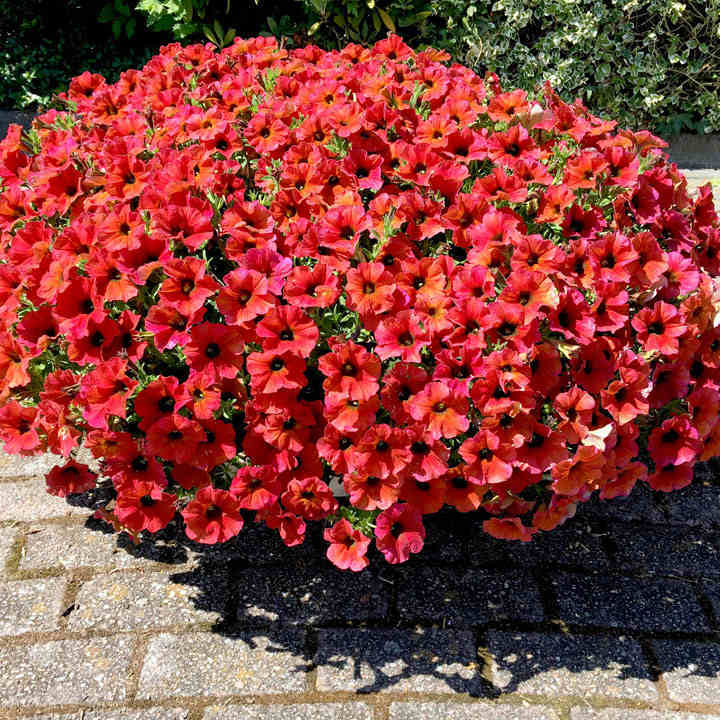 Why not plant up a huge container with a single colour super petunia, like caramel yellow or try a combination of cinnamon, caramel yellow and french vanilla to create a "vintage" feel.